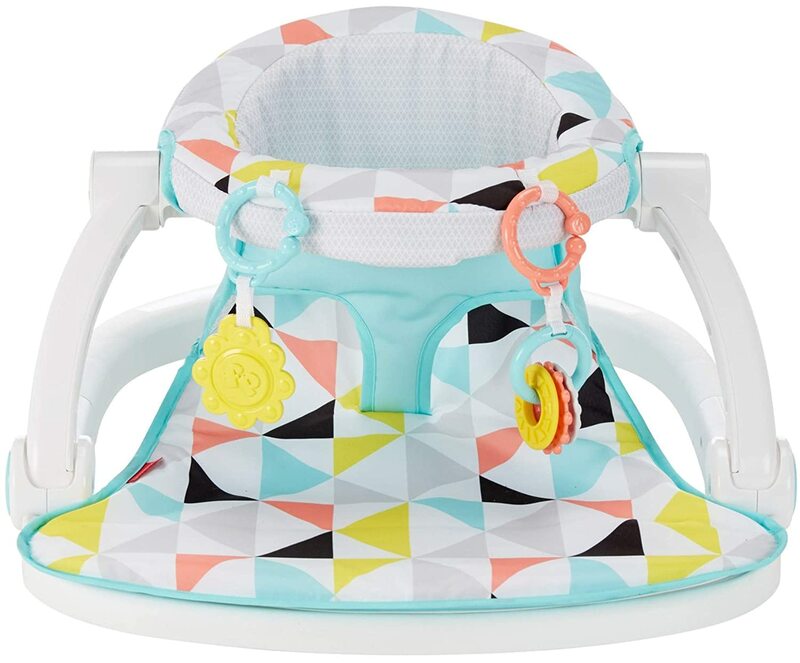 The Baby Trend EZ Bouncer in Ziggy is a must-have for you and your tiny tot. 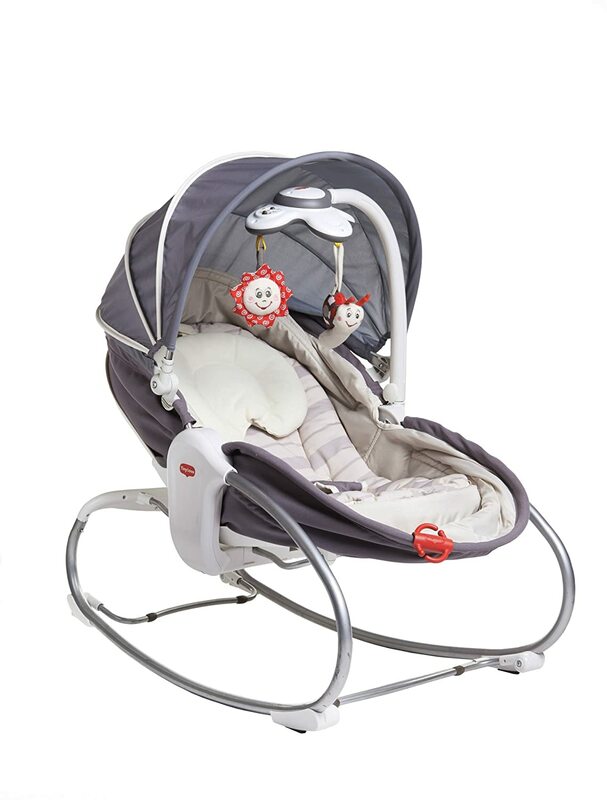 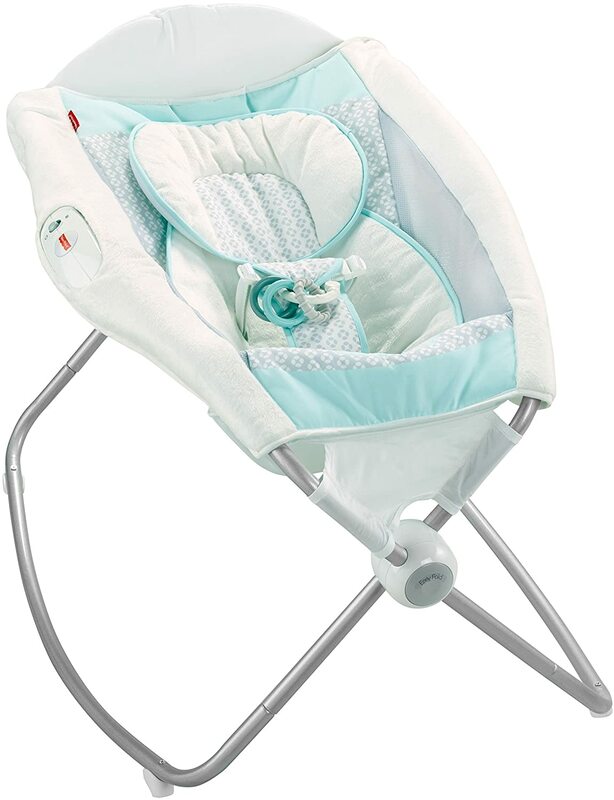 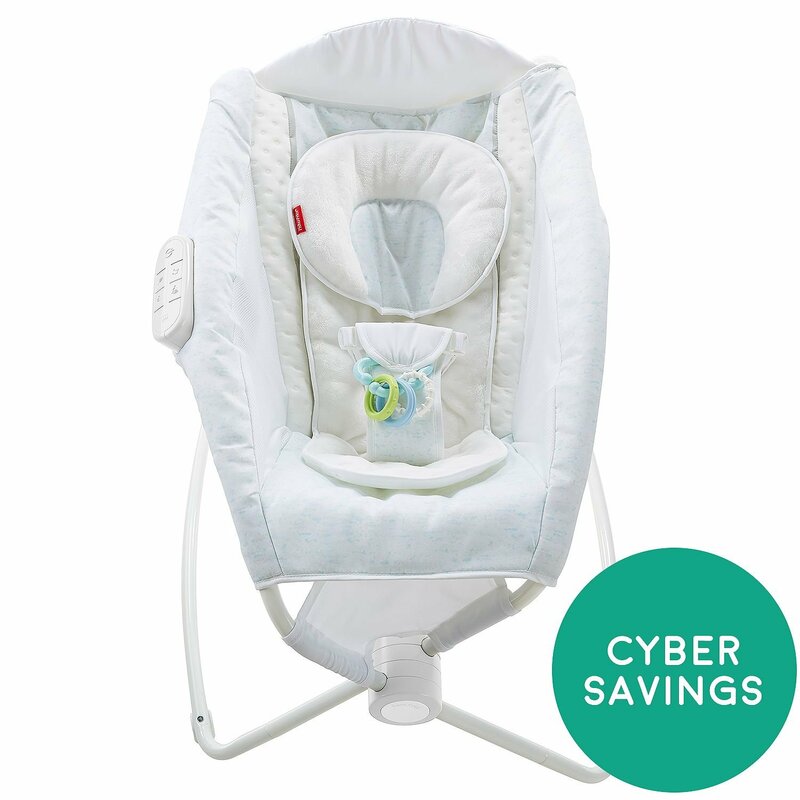 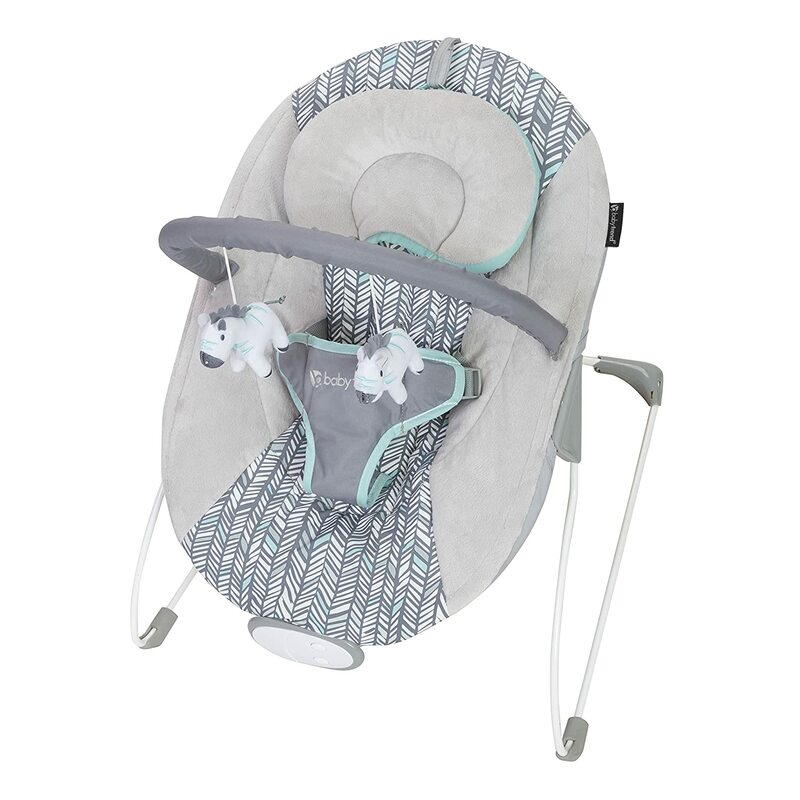 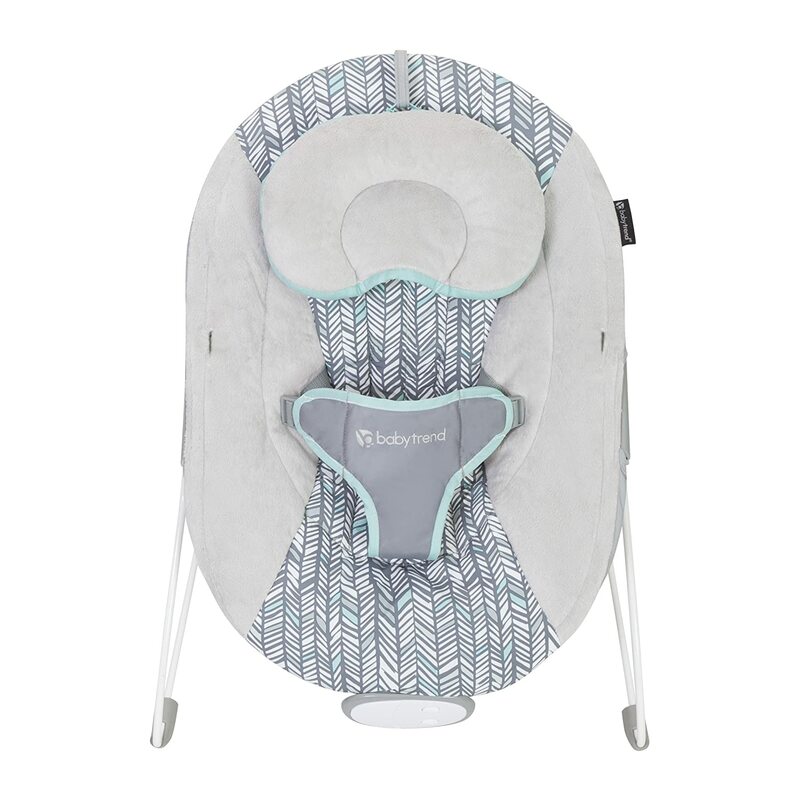 Made with soft cozy fabrics, this bouncer has a comfy seat and a reversible head pillow that can be adjusted and removed as your little one grows. 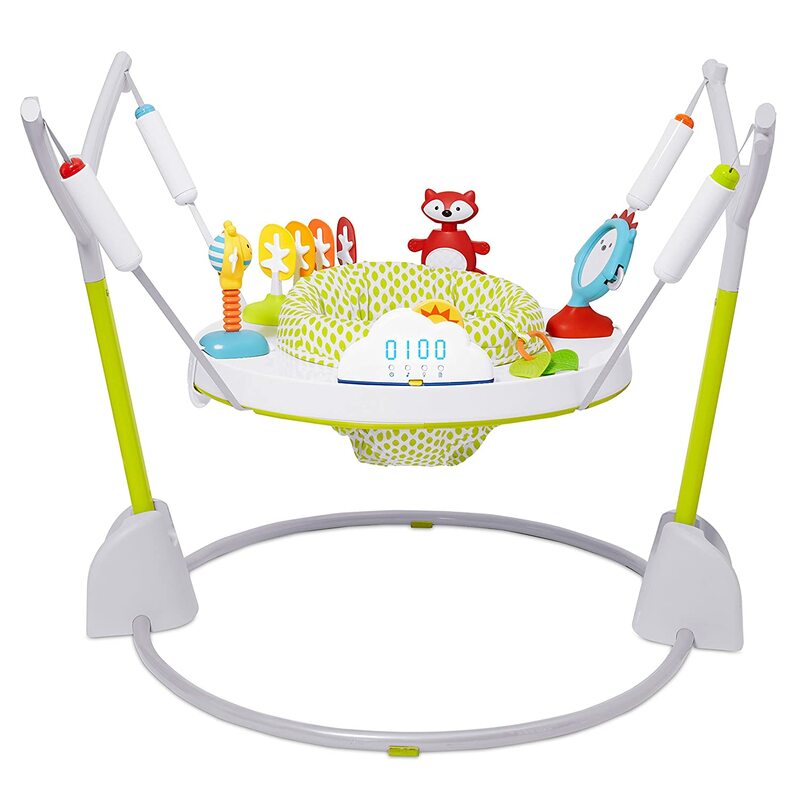 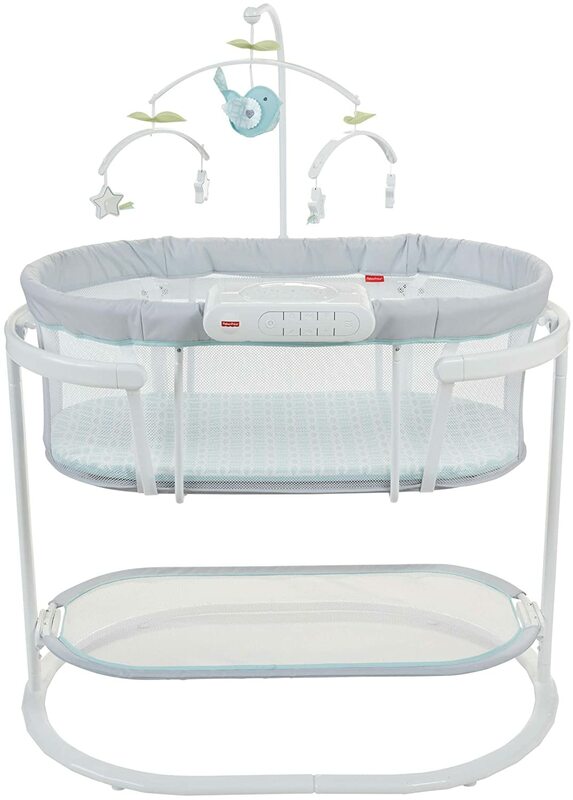 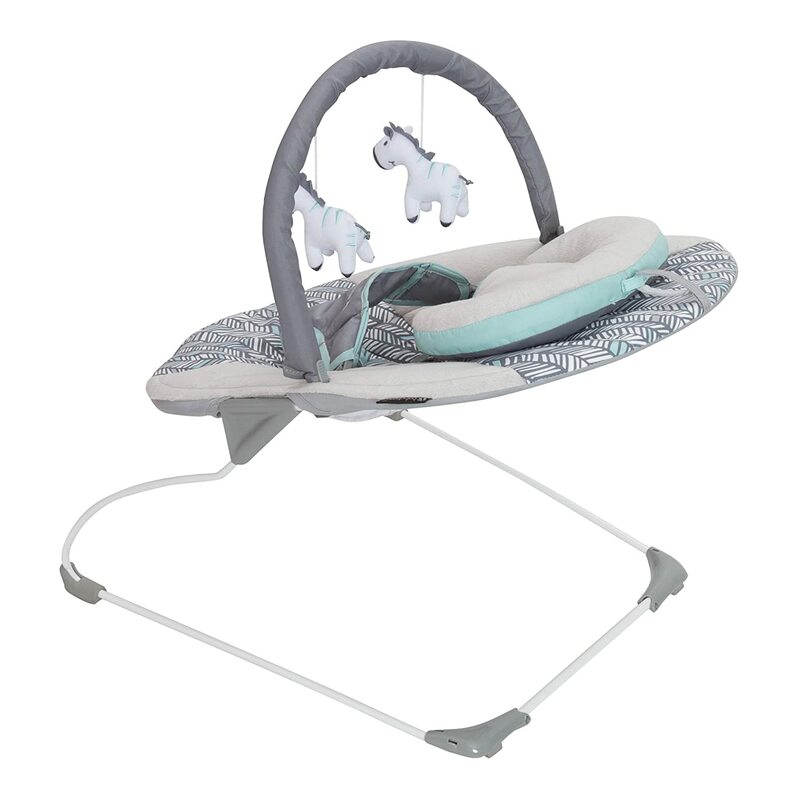 Key features to keep your baby entertained include a removable toy bar with 2 hanging toys and a music center with 8 melodies and calming vibration. 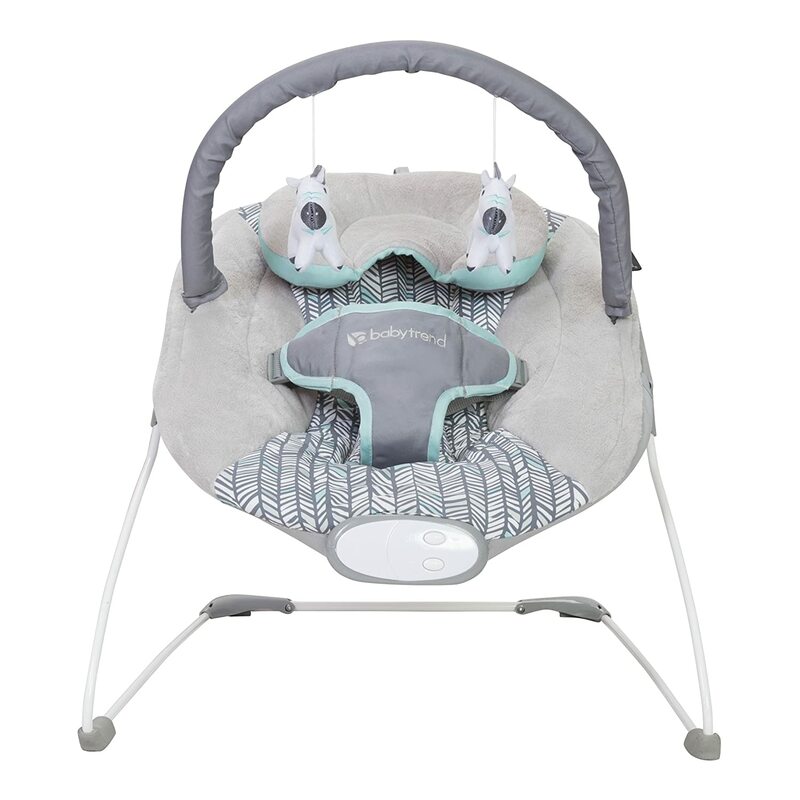 Your child will stay comfy and secure with the adjustable 3-point safety harness, crotch cover and adjustable headrest. 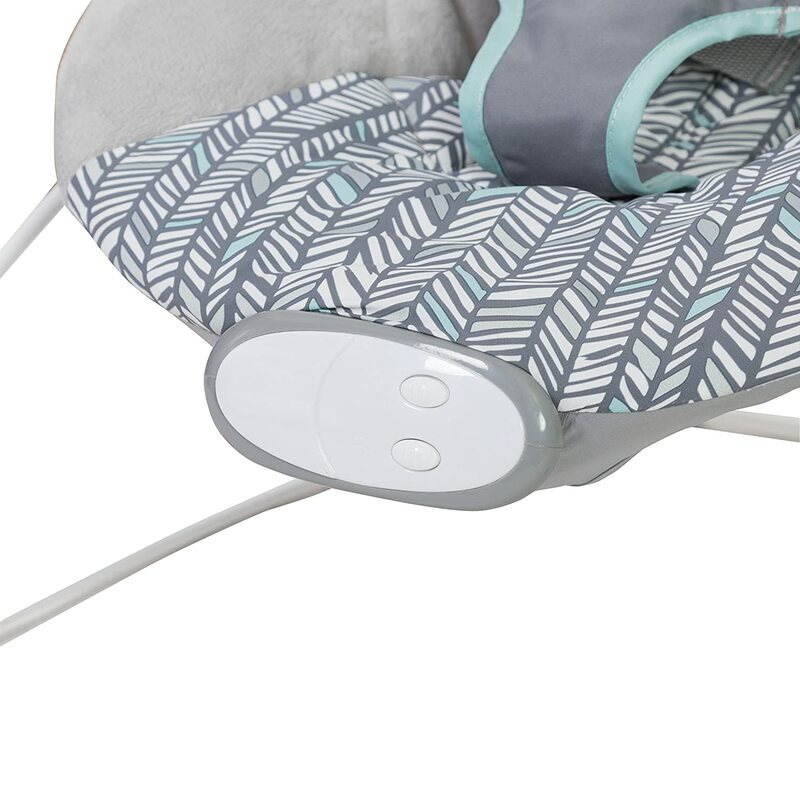 Recommended for children up to 25 lbs.